When it comes to pest control in Fair Oaks, make sure you are choosing a team you can count on. Fill out our contact form to get started. When pests enter our home or commercial space, it can be a nuisance at best, and a nightmare at worst. The team at Earthwise Pest Management is equipped to handle any type of pest problem whether its ants, termites, bed bugs, spiders, rodents, or another pest. We use a type of pest management that limits the use of pesticides and rodenticides while ensuring the pest problem is effectively taken care of. Drop us a line to get started! If you are in need of pest control services in Fair Oaks, CA, make sure you know who to call. Earthwise Pest Management is your Top Rated Local® pest control company serving the Greater Sacramento area, including the Fair Oaks region. Keep reading below to learn more about our pest control services. At Earthwise, we deal with just about every commercial or residential pest you can imagine. However, we have a few specialized services to deal with specific pests that require unique treatments, which we will discuss below. If you notice any signs of these pests or simply want an inspection for some peace of mind, give us a call. Termites are not only difficult to treat without professional help, they are also one of the more expensive pests to deal with if they go untreated. Termites cost homeowners millions each year to repair damage, and ensuring you have regular termite inspections is the only way to catch the problem early. Earthwise is happy to offer termite control services including termite inspections. If an infestation is discovered during an inspection, we can devise an action plan to take care of the infestation. If you have any questions about our Fair Oaks termite control services, feel free to give us a call! The last thing you want to discover is that you’re sharing your bed with tiny parasitic bugs. However, a bed bug infestation can happen to anyone and it is important to know the signs of a bed bug infestation so you can take care of it. Earthwise Pest Management uses heat treatment to exterminate bed bugs and their eggs. Not only is this the most effective way to kill off a bed bug population, it is also the safest method for you and your family. Get in touch with us today to inquire about bed bug treatment in Fair Oaks. When it comes to mice and rat control in Fair Oaks, you want to use a pest control company you can count on. 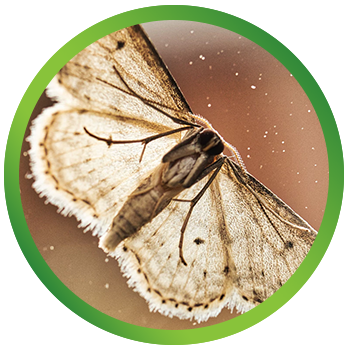 Earthwise Pest Management uses a method of pest control Integrated Pest Management (IPM). With this method, we limit our use of pesticides, rodenticides, and traps and instead focus on measures to get rid of the current infestation while preventing future critters from entering your home or commercial space. In addition to the specialized treatments above, we also offer general pest control services for creepy crawlies including ants, spiders, moths, wasps, cockroaches, silverfish, mosquitoes, and other bugs and insects. Our team is highly trained on the behaviors and habits of various pests and can use their knowledge to determine an effective pest control strategy based on the infestation at hand. Whether you have an active infestation that you need to get rid of at your home or office or you are simply seeing a few too many bugs for your comfort level, we’ll be there to help! Keeping your family safe is clearly one of your top priorities, if not the most important thing to you. When it comes to having a safe home, hiring a pest control company is imperative as your pest control team will keep the health of you, your family members, and your pets in mind every step of the way. When you hire Earthwise, you can feel at ease knowing that we do not use harmful chemicals that will threaten those who live in your home. Instead, the products we use are made to have very little odor and be very low impact on anyone or anything other than the pests we are targeting. There are plenty of pest control companies you can choose from when you live in Fair Oaks, but Earthwise comes with a friendly team that has plenty of experience. As a family-owned and operated business, our experience in the pest control industry in California is extensive, meaning you can trust our services always go above and beyond. Additionally, when there are pests in your home or business, you don’t want to have to wait a long period of time to get the issue under control. We will arrive as quickly as we can and make your space pest-free once again in no time. Pests aren’t just going to annoy you, they are going to make your home unsanitary. This means that they will likely leave messes around your home for you to clean up. This obviously is not ideal, as no one wants to spend their spare time dealing with bugs or rodents. Whether it be dead bugs on your window sills or rodent droppings residing in the corners of your kitchen, there is no reason for you to have to deal with it. Earthwise can make your home pest-free so that you don’t have to worry about dealing with any of the messes that come with an infestation. Need Fair Oaks Pest Control Services? Call Us! We are your dedicated team of pest control experts who are ready to get rid of your pest problem for good. Whether you are dealing with cockroaches or wasps, termites or rodents, we’ve got you covered. By using Integrated Pest Management, we can effectively gain control of the pest problem and provide long-term results. Get in touch today to get started!